Time to snooze? Don’t fall asleep from boredom. 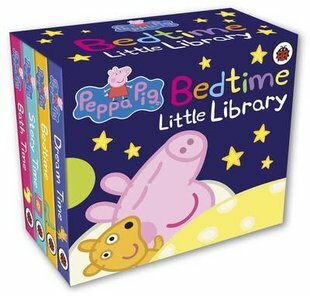 Put the fun into your bedtimes with Peppa’s gorgeous little library. (You’ll love the simple jigsaw picture to make on the back cover.) 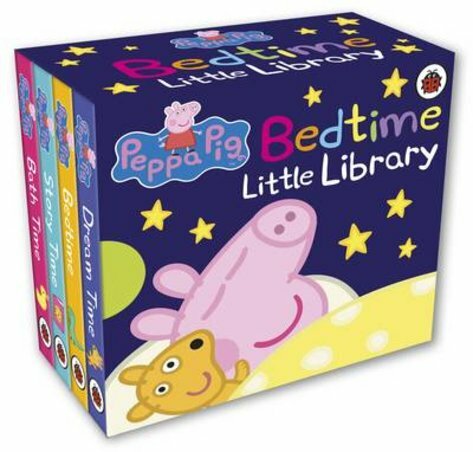 From bathtime to storytime, follow Peppa through all the steps of a perfect bedtime. You’ll even get to peek at her sweet dreams! So brush your teeth and put on your pyjamas, get tucked into bed, relax and enjoy. Say night-night to the world, Peppa-style!